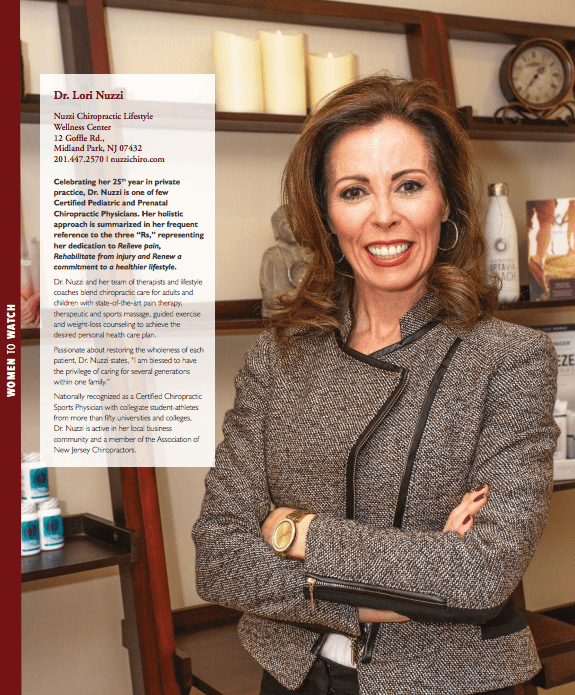 "Dr. Nuzzi's office is filled with consummate professionals." "If you visit Nuzzi Chiropractic only good things can happen." "I am so thankful for their excellent standard of care!" "I have complete confidence in Dr. Nuzzi." "She made a big difference with our children and they have benefited from her expertise." "Staff is very professional and friendly. Highly recommend!" 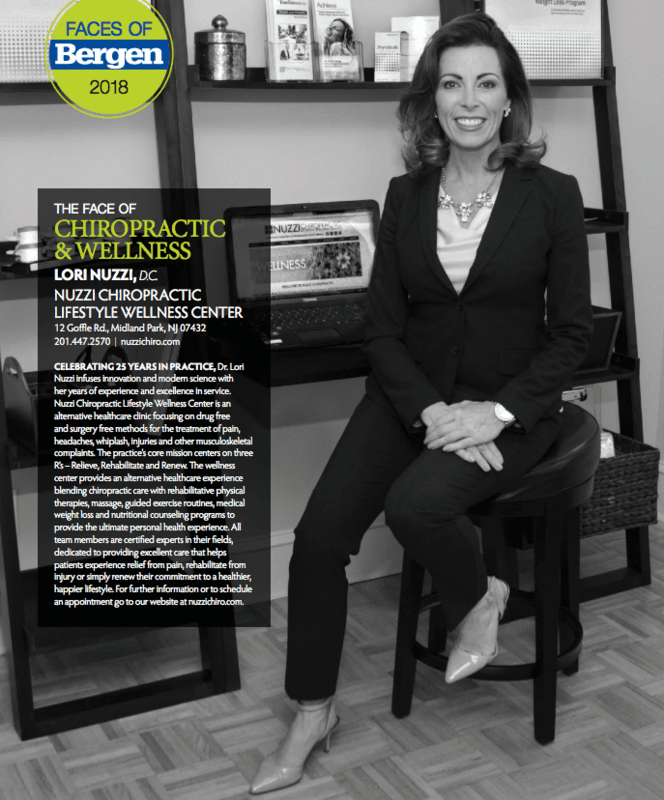 Nuzzi Chiropractic Lifestyle Wellness Center offers chiropractic care, massage therapy, weight loss programs, and body sculpting services to men and women in Midland Park, New Jersey. 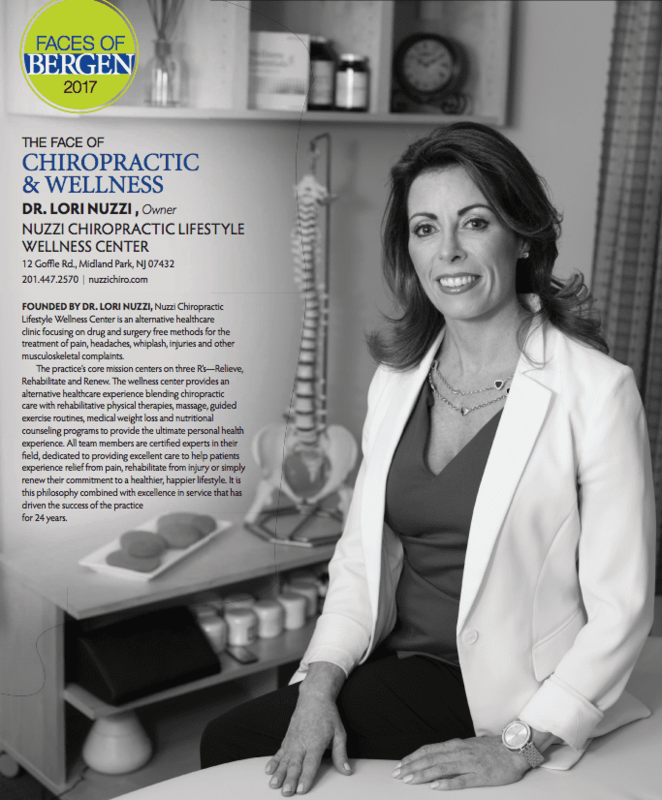 The center is led by respected chiropractic physician Dr. Lori Nuzzi. Highly trained massage therapists Karen Schwietering, Karen Azcuy, Jessilyn Azcuy, and Christine Brett work closely with Dr. Nuzzi in providing committed care. Together, the team helps patients feel better in their bodies. The center’s philosophy and mission can be best described in three words: Relieve. Rehabilitate. Renew. Through excellent service and a holistic approach, the team helps patients of all ages find relief from pain and discomfort, rehabilitate from injury, or simply renew their commitment to a healthier, happier life. The center specializes in evidenced-based chiropractic care, rehabilitative physical therapies, therapeutic and sports massage, guided exercise routines, medical weight loss and nutritional counseling programs, and body sculpting with the Zerona laser. Whatever brings you to the center, the team makes it their mission to find the right combination of therapies and treatments for you. 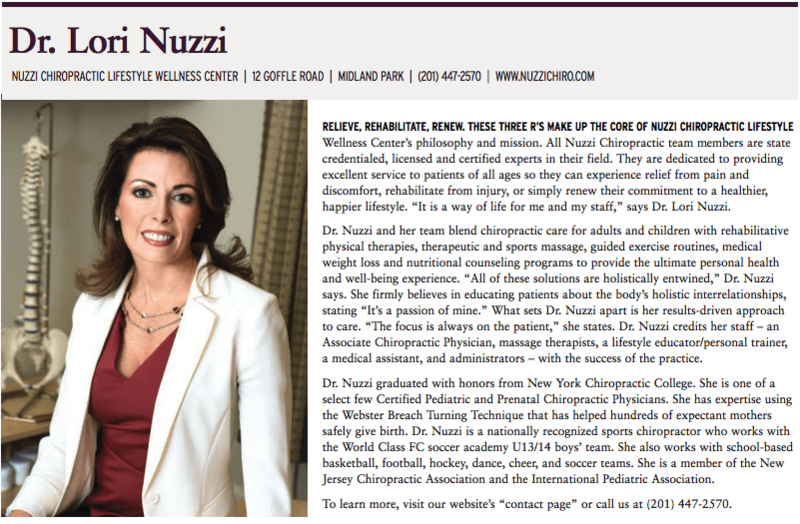 Contact Nuzzi Chiropractic Lifestyle Wellness Center today for a complimentary consultation.